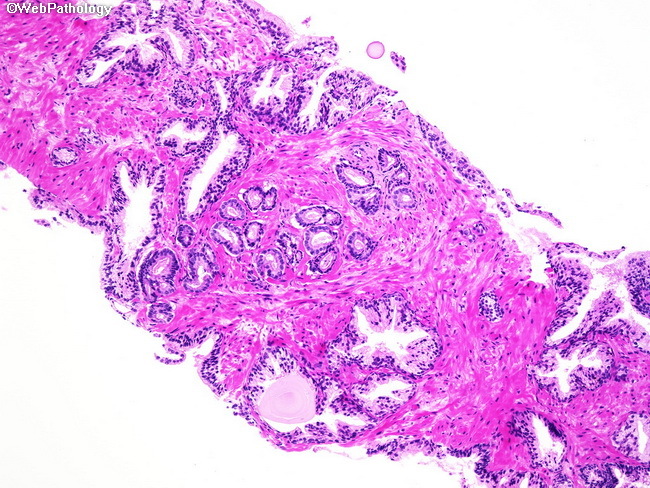 The initial evaluation of prostate needle biopsies should be done at low magnification. Foci of cancer often stand out as they contain small crowded glands with simplified architecture. The small size of the cancer glands and their round or oval lumens are in sharp contrast to the surrounding larger benign glands with complex branching lumens and papillary infoldings.